This beautifully written, classic book teaches about those things that belong to all Catholics: the Mass, the sacraments, and the seasons of the church's year. Discussion questions and helpful quotations from a variety of sources involve the individual reader, the classroom or a study group in a lively dialogue. 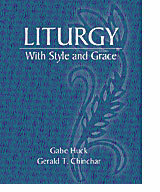 Whether you want to teach others about liturgy or need to know more yourself, this is the book you need.